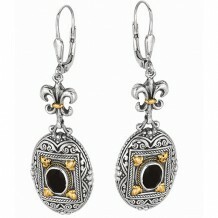 18kt Yellow Gold and Sterling Silver Oxidized Oval Black Onyx Fluer De Lis-Byzantine Drop Drop Earring. 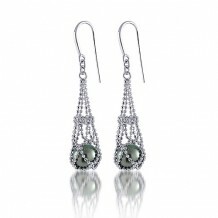 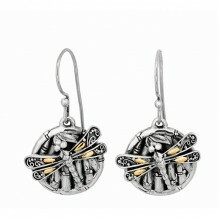 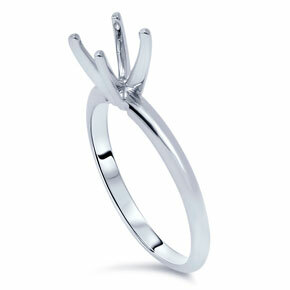 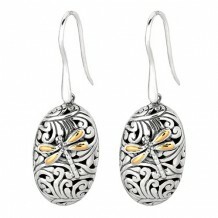 18kt Yellow Gold and Sterling Silver Oxidized Dragonfly Bamboo Drop Earring. 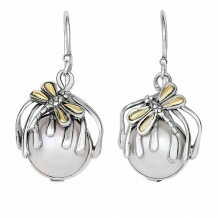 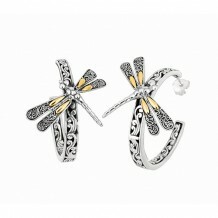 18kt Yellow Gold and Sterling Silver Oxidized Dragonfly Earrings. 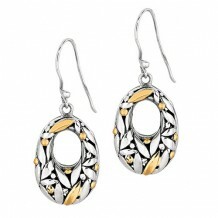 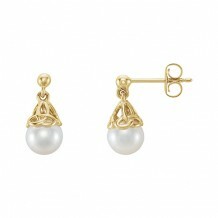 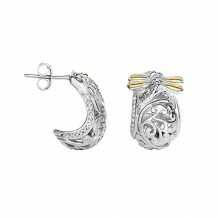 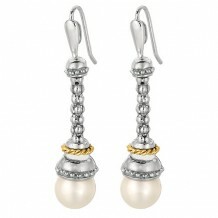 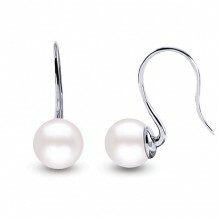 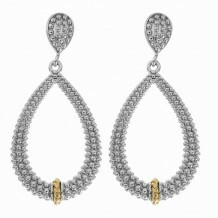 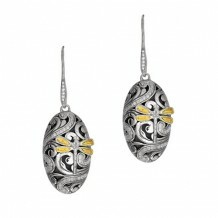 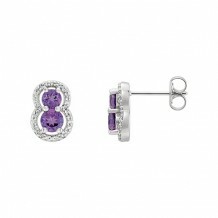 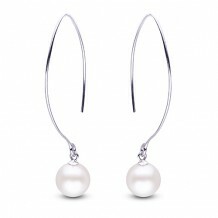 18kt Yellow Gold and Sterling Silver with Rhodium Finish Shiny Fancy Open Teardrop Drop Earrings.